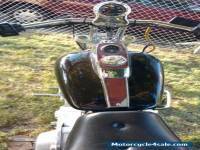 2003 Indian Chief Vintage power plus 100 cubic inchThe first motorcycle company since 1901. 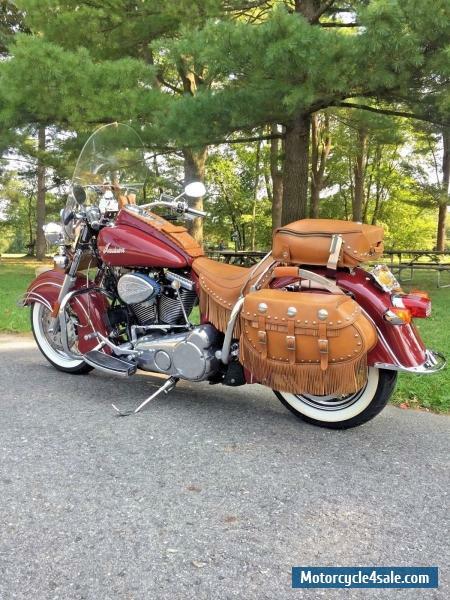 TRULY ONE-OF-A-KIND CHIEF THAT YOU WILL NOT SEE ANOTHER ONE LIKE ITIn 2003 last and ONLY year the vintage model was made for this era, the indian factory went bankrupt. 1999 was the first year for the reintroduction of the iconic Chief Motorcycle. 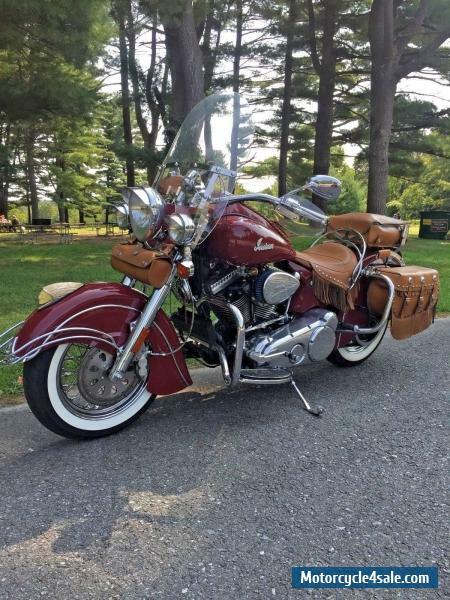 1953 was the last production year for the "Chief" and some forty-five years later the iconic Indian Chief was reborn. Built and assembled in Gilroy, California these 1999 to 2003 models were unique as only some models had numbered identification plaques built into and riveted to the frame as shown in the photo. Only less than 700 were made, This is 607The early Indians came from the factory with 88ci S&S Engines and dry belt driven primary and when production ceased in 2003 only certain models came out using the 100ci power plus engines and wet chain driven primary.These Indians in my opinion just look more nostalgic then the new ones. The tear drop headlight and massive front end just sets them apart. do like the low seat height of only 28inches making the bike easy to handle. 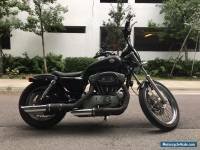 The Softail Style suspension with the hidden single monoshock underneath, give the bike the look of hardtail, but much better and more comfortable ride. 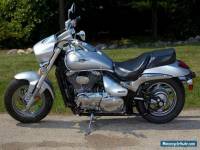 This Indian starts with ease, runs out smoothly, and shifts well.The pull back handlebar makes it joy to ride with Plenty of power.I have taking this bike on road trips no problem, new tires and new lithium 450cca battery is ready to go these bikes will only increase in value with time. 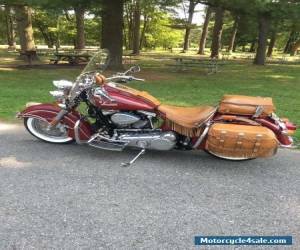 Everything on it is factory with the exception of the buffalo leather bib over the tank and speedometer Lots of maintenance done to it and always the best fluids. Every accessory at the time of purchase was costly such as :-Chrome aluminum fender tips-Vintage cut windshield -Authentic chrome horn cover-War Bonnet billet chrome air cleaner-chrome cam covers, -polished aluminum trigger, rocker base/cover, coil over cover-chrome handlebar mount tachometer -gold plated Indian head fender ornament. -license plate frame -vintage chrome front and rear bumpers-Engine guard front and rear. -Ignition performance package-alarm system with clicker. 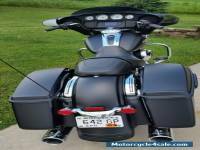 -chrome seat single solo seat rail-leather rare and hard to find scoot boot luggage bag and tool roll original -polished aluminum luggage rackAnd more. Tires: Front 130/90-16" Rear 130/90-16"
Wheels: 60 Spoke Chrome Wire, Both front & Rear16"x3.5 with new white wall tires. 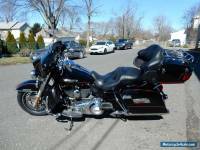 Original MSRP $24,995 US DYours for the right price Not in rush to sell.